This study examined teachers’ and parents’ perceptions of digital and non-digital academic dishonesty in schools, and the strategies they employ to cope with it. Our findings indicate that the technological factor doesn't seem to affect the views held by teachers and parents concerning academic dishonesty. Based on Pavela's (1997) model of academic dishonesty behaviors (cheating, plagiarism, fabrication and facilitation dishonesty of others), findings indicate that although participants are most familiar with cheating, in the context of digital dishonesty, plagiarism was reported more than any other dishonest behavior. Both parents and teachers emphasized the pivotal role of motivational factors (i.e. student's goals, abilities and self-perception) in promoting or inhibiting academic dishonesty. Rotem, I., Blau, I. & Eshet-Alkalai, Y. (2016). Academic Dishonesty in the Digital Era: Perceptions and Coping Strategies of School Teachers and Parents. 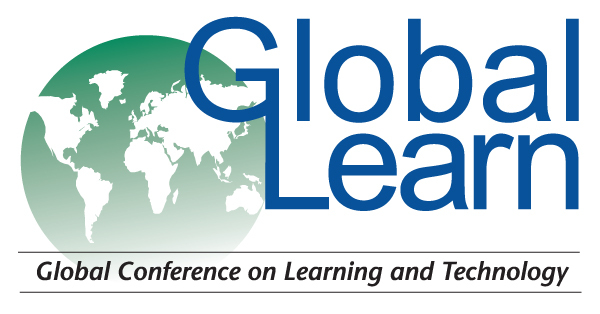 In Proceedings of Global Learn-Global Conference on Learning and Technology (pp. 397-401). Limerick, Ireland: Association for the Advancement of Computing in Education (AACE). Retrieved April 23, 2019 from https://www.learntechlib.org/primary/p/172749/. Bain, L.Z. (2014). How students use technology to cheat and what faculty can do about it. In Proceedings of the Information Systems Educators Conference ISSN (Vol. 2167, P. 1435). Barzilai, S., & Blau, I. (2014). Scaffolding game-based learning: Impact on learning achievements, perceived learning, and game experiences. Computers& Education, 70, 65-79. Blau, I., Eshet-Alkalai, Y., & Rotem, I. (2014). Cheating and e-cheating: A qualitative investigation of expanding an academic dishonesty framework into digital learning settings. Paper to be presented at the 8th International Technology, Education and Development Conference-INTED2014. Valencia, Spain. Eshet-Alkalai, Y. (2012). Digital literacy: A revised model. Issues in Informing Science and Information Technology, 9, 267-276. Hargittai, E. (2002). Second-level digital divide. First Monday, 7(4), 1-4. Kauffman, Y., & Young, M.F. (2015). Digital Plagiarism: An experimental study of the effect of instructional goals and copy-and-paste affordance. Computers& Education 83, 44-56. Murdock, T.B., & Anderman, E.M. (2006). Motivational perspectives on student cheating: Toward an integrated model of academic dishonesty. Educational psychologist, 41(3), 129-145. Pavela, G. (1997). Applying the power of association on campus: A model code of academic integrity. Journal of Business Ethics, 16(1), 97-118. Rotem, I., Blau, I. & Eshet-Alkalai, Y. (2016). Academic dishonesty in the Israeli public school system: Teachers' and parents' perspectives. In Y. Eshet-Alkalai, I. Blau, A. Caspi, N. Geri, Y. Kalman, & V. SilberVarod, (Eds. ), Learning in the technological era (pp. 198-207). Ra'anana, Israel: The Open University of Israel. Strauss, A., & Corbin, J. (2007). Basics of qualitative research: Techniques and procedures for developing grounded theory. Sage Publications, Incorporated. Strom, P.S., & Strom, R.D. (2007). Cheating in middle school and high school. The Educational Forum, 71(2), 104-116.